Every Friday, we ask our staff writers and editors to tell us about something that brought them joy during the week. Our Staff Picks range in content from books to bands to comics to TV shows. Sometimes our writers pick the same thing, but for different reasons; sometimes they pick things all from the same category of media; sometimes they write about polar opposite things from totally different areas of fandom. Want to tell us what made you happy during the week? Talk to us on Twitter! This week our staff shares their picks, ranging from books to toys to television and music. Check out what we recommend as you start your weekend! Check out this week’s Rogues Portal Staff Picks! Check out another week of Rogues Portal Staff Picks! 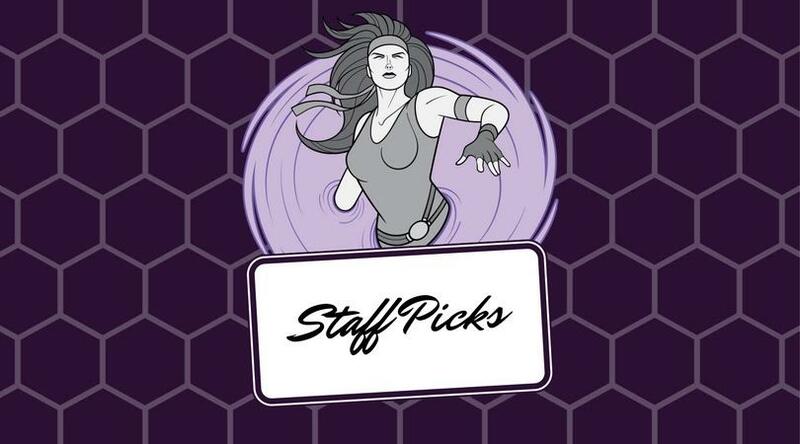 Check out Rogues Portal Staff Picks! We’ve got theme parks and three very different kinds of bandits. After a couple of weeks off, Rogues Portal Staff picks are back this week.